Not sure the dam has broken yet, but Chicago Mayor Rahm Emanuel has been pushed into releasing yet another dashcam video of another questionable Chicago Police shooting of an unarmed man, and planting evidence. Mayor Rahm Emanuel said Thursday the city will drop its fight against the release of a police dashboard camera video depicting a Chicago police officer fatally shooting a man in the back on the city’s South Side. For more than a year, lawyers for Ronald Johnson III’s family have battled city lawyers over the release of the video of Johnson’s October 2014 shooting, which bore striking similarities to the killing of 17-year-old Laquan McDonald by a different police officer eight days later. Police have said Officer George Hernandez opened fire only after Johnson pointed a gun at him during a foot chase. Just as it had in McDonald’s shooting, the city argued in court filings that releasing the video would inflame the public and jeopardize the officer’s right to a fair trial if he was charged later, court records show. But on Thursday, after a week of mounting pressure for transparency following the release of the video showing McDonald’s shooting, Emanuel told reporters he would drop his opposition to making the Johnson video public. “Yeah, we will do that next week,” Emanuel said when asked about the video at an unrelated news conference. It was unclear when or how the city planned to make the video public. A Cook County judge is set to hear arguments next Thursday in a lawsuit the family filed seeking the video’s release under the state’s open records laws. Attorney Michael Oppenheimer, who represents Johnson’s mother, Dorothy Holmes, said at a news conference he was “not surprised” at the city’s about-face, saying it was a step in the right direction but one that would not negate 14 months of what he alleged is a police cover-up that he says included planting a gun in Johnson’s hand to justify the shooting. Asked if the video would shock the public as deeply as the footage of McDonald being shot 16 times, Oppenheimer said he was uncomfortable comparing them. The details about Johnson’s killing have emerged amid continued fallout over the handling of the McDonald case. After the dash-cam video of McDonald’s killing by Officer Jason Van Dyke was made public Nov. 24, protests have captured national attention and put increasing political pressure on Emanuel to make wholesale changes to the Police Department. On Tuesday, Cook County State’s Attorney Anita Alvarez revealed for the first time that her office is investigating possible criminal charges in Johnson’s case. On the night he was killed, Johnson, 25, was in a car with friends when the vehicle’s back window was shot out by an unidentified gunman. Chicago police have said that Johnson, a known gang member, resisted arrest when officers responded to the call of shots fired and then ran. During the chase, Hernandez, at the time a tactical officer in the Wentworth Police District, pulled up in an unmarked squad car and jumped out with his gun drawn, Oppenheimer said. The video, which Oppenheimer said he has seen many times, shows that within two seconds of getting out of his car, Hernandez fired five times at Johnson as he was still running away, striking him in the back of the knee and again in the back of the shoulder. Autopsy results obtained by the Tribune show the fatal shot traveled through Johnson’s shoulder, severed his jugular vein and exited his eye socket. Oppenheimer said the squad car from which the scene was recorded began to move shortly after Johnson collapsed in the parkway, so the officers’ actions in the immediate aftermath were not captured. Police reported that night they found a pistol in Johnson’s right hand — a gun that Oppenheimer described as “old and rusty” and completely absent from the video footage. “There was nothing in his hand, not a gun, a cellphone, a bottle of water — nothing,” he said. This one eventually is headed for a train wreck. 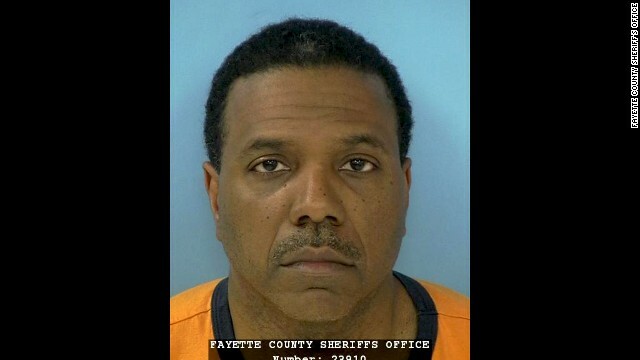 Megachurch pastor Creflo Dollar was arrested in suburban Atlanta for an alleged assault on his 15-year-old daughter, police said Friday. Deputies in Georgia’s Fayette County responded to a call about a domestic disturbance about 1 a.m. Friday. Dollar’s daughter said she argued with her father over attending a party, said Investigator Brent Rowan of the Fayette County Sheriff’s Office. The daughter says the argument got physical. She told the deputies that her father charged her, put his hands around her throat and began to choke her, according to a police report. She said he then slammed her to the ground, punched her and beat her with his shoe. In Riverside, Ca – Not Only do you Go To Jail… You have to Rent Your Own Cell. Damn – now the prisoners have to rent their cells! Should inmates have to pay the county back for taxpayer money spent on their jail time? This week, Riverside County supervisors unanimously voted yes. As the Los Angeles Times reports, Supervisor Jeff Stone called jails “prison hotels,” costing an average of $142.42 a day. County Counsel Pamela Walls, however, wrote in a memo to the supervisors that it will be hard to collect reimbursements because “those defendants who are convicted of crimes and incarcerated typically have limited funds.” Furthermore, she argues that because defendants will have to pay victim restitution, fines and penalties first, few will have money left to cover jail time costs. When you have to have money even to go to jail. Posted by btx3 on November 4, 2011 in Nawwwwww!